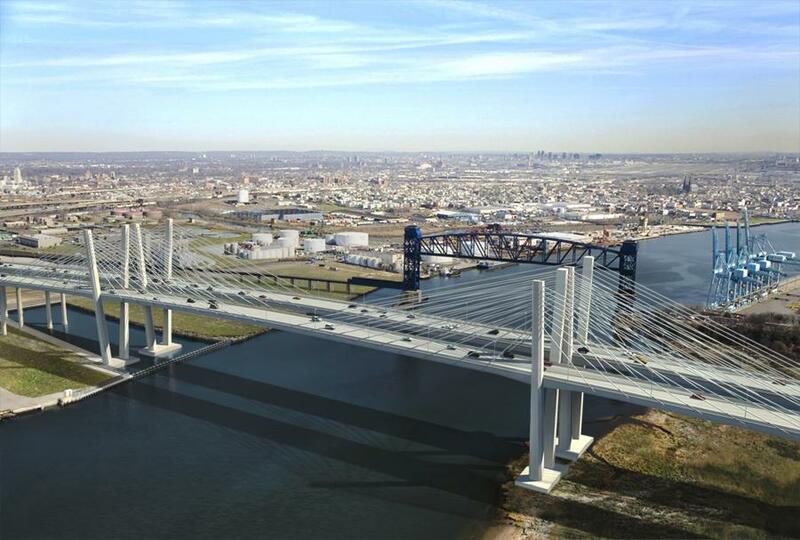 “The cable-stay structure is ideal for the size of the bridge and the number of lanes,” said James E. Blackmore, program director for the Goethals Bridge Modernization Program. The long-awaited Goethals Bridge opened officially in 2018 after years of construction. "The completion and opening of the second span of the Goethals Bridge project represents one of the most important infrastructure enhancements undertaken in the New Jersey-New York metro region in more than eight decades," said New Jersey Gov. Phil Murphy at the time of its opening. "These critical improvements will ease congestion and provide a safer driving environment for daily commuters and the more than 32 million travelers who use the bridge annually." The $1.5 billion project, which had been under construction since 2014, features two identical cable-stayed spans with three 12-ft. lanes, 12-ft. outer shoulders and 5-ft. inner shoulders that connect Elizabeth, N.J., and Staten Island, Curbed reported. The bridge is made up of 144 steel stay cables, each up to 400 ft. long and 13 in. in diameter. These cables connect the four sets of V-shaped concrete towers, which the Port Authority of New York and New Jersey said measure 272 ft. tall. 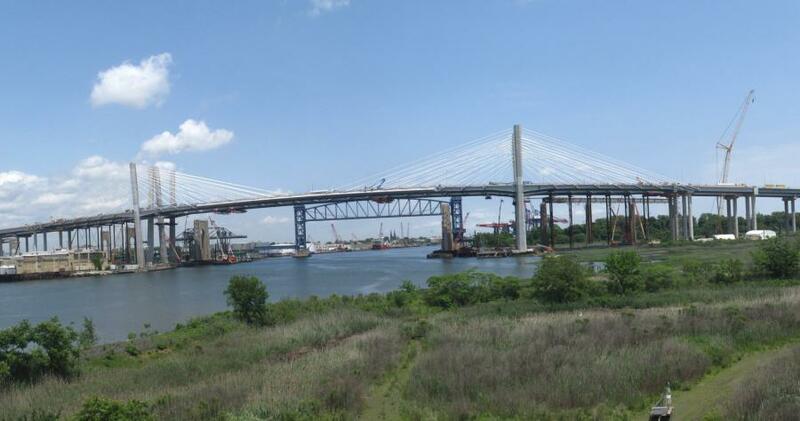 "The cable-stay structure is ideal for the size of the bridge and the number of lanes," said James E. Blackmore, program director for the Goethals Bridge Modernization Program. The new span also contains "smart bridge" technology, where sensors continuously monitor critical areas. The Port Authority chose Kiewit-Weeks-Massman to design and build the bridge. The project was financed through a public-private partnership: the Port Authority paid one third of its cost, and NYNJ Link, a private partner, financed the rest. NYNJ Link leased the new bridge to the Port Authority for 35 years, until the funds are paid back. Then, the Port Authority will regain ownership of the bridge, the Wall Street Journal reported.